The NVIDIA Shield went up for pre-order just a few weeks ago. The Android powered controller is a unique take on mobile gaming, giving players two distinct ways to play games on the go. 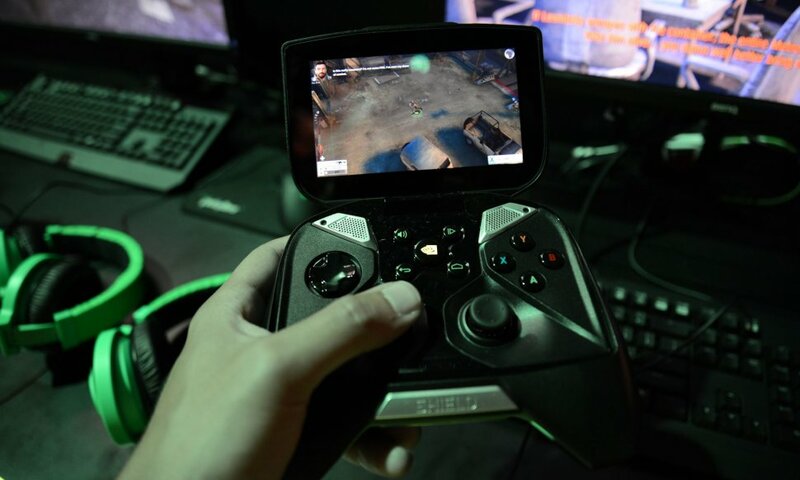 The device features a 5" Tegra 4 powered Android screen matched with a fully functional gaming controller. But you aren't limited to just Android games on this device - you can stream games from Steam. 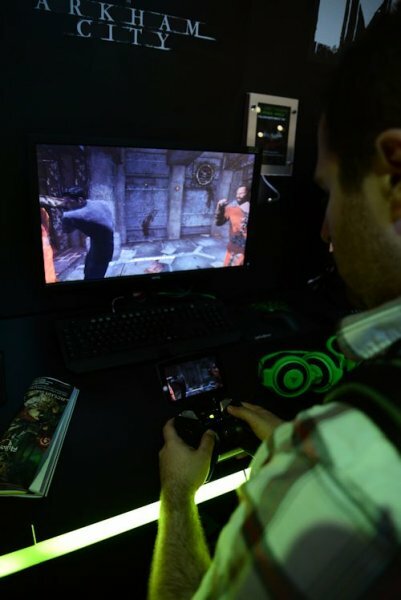 In the NVIDIA booth at E3 2013 there were dozens of Shield devices set up to play. Titles ranged from Android games like versions of Sonic the Hedgehog or turn based strategy game called Arma Tactics. Also on display? Games like Borderlands 2 and Skyrim. You see certain games are capable of streaming via a local Wi-Fi connection straight to the device, allowing you to bring PC gaming to the couch or bedroom. I tried playing some Metro Last Light on the device and things ran great, it controlled well and the analog sticks and triggers felt really solid. I could see the action on the device synced up with the PC monitor in front of me. I decided to see if I could break things - so I hit the NVIDIA button on the controller - and I was suddenly on a slick little home screen that let me choose between a few gaming titles. I was able to continue playing on the PC as if nothing has happened. I navigated the Shield back to the Metro icon and boom - things magically synced up again and I was able to play on the controller. That blew me away. It should be noted that not all games are compatible with the Shield for this style of play, in fact, at launch only six titles will be supported including Borderlands 2 and Resident Evil 6. The other downside is you need a GeForce 650 series or higher graphics card for the functionality to work. This means my two year old GeForce GTX 580, which handles just about anything thrown at it, is out of luck. Despite these shortcomings there seems to be plenty of content for the device and being powered by a Tegra 4 chip means some pretty impressive visuals, even for an Android only game. The NVIDIA TegraZone app was loaded with titles on the Shield, so that should keep you busy for hours on end by itself, the streaming PC integration is merely icing on the cake. Spec wise the shield features a 720P display running Android Jelly Bean 4.2. There's no bloatware interface on top of it and the pre-installed software are all game and gaming related content. NVIDIA hopes to get between 15-20 hours of battery life out of the device which also features mini-HDMI out. Storage wise there's 16GB internally and room for expansion via Micro-SD. The NVIDIA Shield is out at the end of the month and can now be pre-ordered for $349 from NVIDIA directly. Edit: On June 20th, NVIDIA has dropped the price for $299. Page created in 0.6930 seconds.